Volute Liner, also known as the Casing, is the main part of a slurry pump. One function of the casing is to pick up the flow coming from the entire circumference of the impeller, converting it into a desirable flow pattern and directing it to the pump outlet. Another important function is to reduce the flow velocity and convert its kinetic energy to pressure energy. For most hard metal pumps the volute is normally in one solid piece. This design is the most cost effective in manufacturing and there are no practical requirements for splitting the volute into two halves. Some rubber lined pumps also use a solid volute, especially for the smaller sizes, where it is more practical and economic to use a solid volute. Business Description: 1. 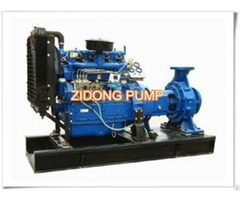 Shijiazhuang Minerals Equipment Co. Ltd is specialized in the production and marketing of heavy duty slurry pumps. Our company is located in the base city of slurry pumps—Shijiazhuang, Hebei, China, which covers an area of 40,000 square meters, including four workshops of 12,000 square meters, offices of 4,000 square meters, and accommodation of 4,000 square meters. 2. 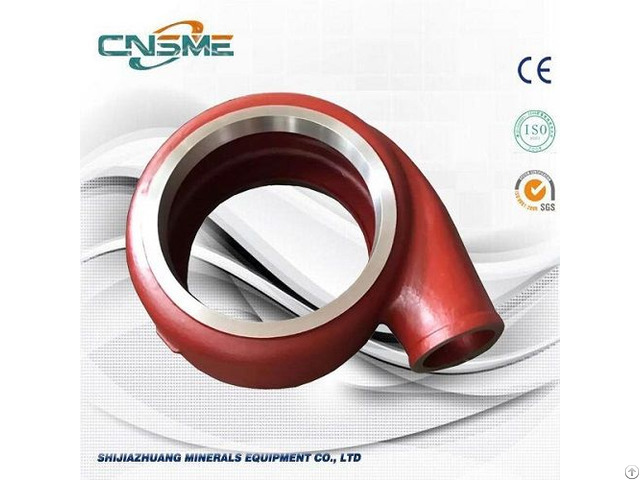 Shijiazhuang Minerals Equipment Co. Ltd’s strength is its team of engineers with remarkable experience in design, research, manufacturing and management, who constantly work to find new technological solutions for improving performances of its products, and optimizing sustainable operations. 3. There are three intermediate frequency electric furnaces in our foundry shop, with a capacity of 1-ton, 2-ton and 4-ton individually. We run three production lines at the same time, one lost foam production line, and two resin sand production lines. In order to supply the best quality, every batch of castings will be tested before they are put into the furnace and after they are taken out of the furnace. Our pumps are manufactured using the most abrasion and corrosion resistant materials available, and different heat treatments are applied based on the variety of the materials. Our goal is to become a reliable partner to our customers for the supply of long life pumps and parts, and to lower the customers operating costs. 4. Rough castings will be transferred into the machining shop after they are inspected qualified. At Shijiazhuang Minerals Equipment Co. Ltd, you’ll find more than 20 sets of machining equipments including vertical lathe, round lathe, boring and milling lathe, CNC lathe, radial drilling machine and cylindrical grinder, which makes it possible to machine spare parts with a maximum diameter of 2.5 meters. Our machining team consists of the best engineers in the slurry pump business and we guarantee the machining accuracy of the products. The finished spare parts cannot be warehoused until they are inspected qualified and perfect. 5. We have sufficient inventory of spare parts, and we store at least 5 sets of wet-end parts for each pump model. If the customer needs a replacement part, it can be delivered swiftly. 6. Top welding equipments are found in our forge welding shop to ensure the perfection of every welding product like the base frame for pump and motor, pulley guard etc. 7. 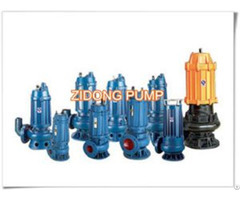 Slurry pumps manufactured by Shijiazhuang Minerals Equipment Co. Ltd are equivalent to and the spare parts are interchangeable with one of the world recognized leading brands in the slurry pump industry. As an ISO9001 certified company, we consistently emphasize on the quality control of every procedure. After assembly, we’ll do hydraulic and performance testing of each pump to avoid any leaking problems and to get its ultimate efficiency. 8. We are a company from China but we serve the whole world. 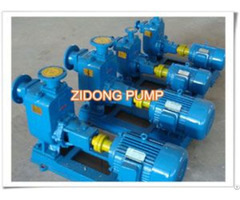 When you think of slurry pumping, think Shijiazhuang Minerals Equipment Co. Ltd.